This paper considers a guardianship model for the legal representation of future generations. 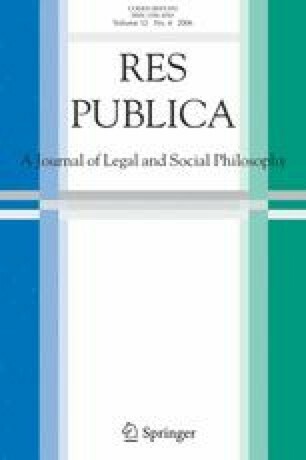 According to this model, national and international courts should be given the competence to appoint guardians for future generations, if agents who care about the welfare of posterity apply for the creation of a guardianship in relation to a dispute that can be resolved by the application of law. This reform would grant guardians of future people legal standing or locus standi before courts, that is, the right to bring an action before a court of law for adjudication. Although the guardianship model faces several difficult theoretical and practical problems pertaining to the representation of different near and distant future generations, it is argued that this model – and certain other legal norms intended to protect future basic needs – can be justified on the basis of the principle of liberty. I would especially like to thank John O’Neill and Jon Wetlesen for valuable comments and discussions. I am also grateful to Brian Garvey, Thomas Hill, jr., Bjørn Myskja, Eivind Smith and Christopher D. Stone for helpful comments and suggestions.